South Africa has lost a great physician. 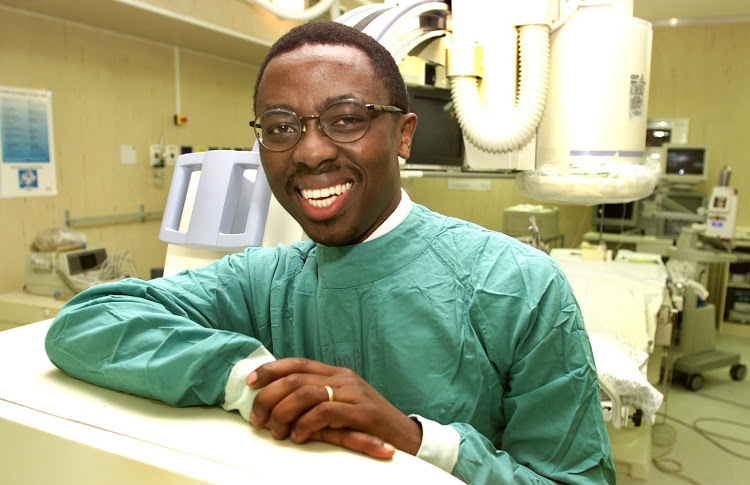 Professor Bongani Mayosi was an eminent cardiologist and cardiac researcher and at 51 there was still so much he might have contributed to medical knowledge. Bongani held himself, his profession and those in his circle to a high standard that put the patient and excellent healthcare provision first. His passion and commitment to maintain the high standards of research for which the University of Cape Town Faculty of Health Sciences is known and to produce quality health professionals have perhaps in part led to his tragic demise. In two short years, he had made an indelible impression on the University as a whole. His wisdom and compassion helped to navigate the difficult challenges and processes posed by the #FeesMustFall movement. He listened to students, brought in outstanding mediators, and allowed authentic voices on campus when students from the movement invaded the Deanery. The relative calm and opportunity for debate on critical issues within the FHS campus at that time were due in large part to his leadership. Perhaps, not unexpectedly but nevertheless tragically all of this took an immense toll on his health and wellbeing. At the Desmond Tutu HIV Centre we are devastated to lose such an icon of the health and education professions. Bongani put South African medical research on the map with the discovery of the genetic mutation that causes heart failure, but even more importantly he put passion into African research and medical care and health in Africa. His passing in such a sad manner leaves us all with much to reflect upon. Not least, that mental health is as important as physical health. There should be no barriers to promoting wellbeing, whether of the body or of the mind. Perhaps most important of all: That people and how we treat each other should always transcend issues. We are also reminded that we ARE the RAINBOW NATION and issues are most often best resolved together rather than from polarised corners. Bongani was an icon, a respected colleague and a much-loved friend. Our thoughts and prayers are with Nonhlanhla, S’vuyile, Camagu and family. We feel their pain. His passing is a great loss to his colleagues to the Faculty, UCT and our country.